Recently we took a look at a really hot trend in frugal living called collaborative consumption. The idea behind this way of life is that you can share ownership of items with others in order to reduce your cost investment. One major example of this is the use of car sharing programs. However, if you aren’t using these programs properly then you can end up wasting money unnecessarily. For those of you who aren’t yet familiar with this concept, car sharing programs provide you with access to vehicles that you can utilize instead of having to own your own vehicle. This is great because it means that you have a car when you need one but you don’t have to worry about the hassles and costs of full-time car ownership. This is a popular program in many urban areas. One of the most well-known car sharing services is Zipcar but there are other local and nationwide programs as well. Getting the wrong driving plan. Choosing a car sharing plan is similar in many ways to choosing a cell phone plan. You probably make sure that you get a cell phone plan that covers all of the minutes, text and data that you use in a month. That’s because you know that if you go over that amount then you’ll have to pay per minute or per text and you’ll end up wasting money. However, you wouldn’t pay for unlimited texts if you only sent ten texts a month because then your monthly fee would be higher than necessary. You look at what you’ll actually use and get a plan that covers it. In the same way, you’ll want to review a company’s car sharing plans carefully to make sure that you’re getting what you will use out of the service. Consider how often you’ll likely use the vehicle, how far you’ll drive, etc. and select the plan that makes the most sense for you. Review the plan annually to make sure that it’s still the right one. Failure to follow the rules. 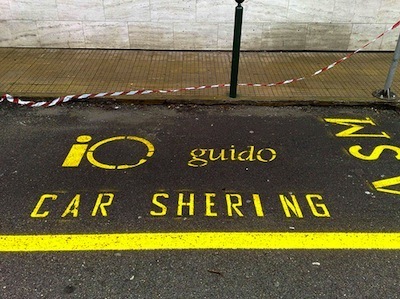 Car sharing programs are generally easy to use. However, they do have a few rules that you must follow in order to keep the programs working properly for everyone. For example, you must return your cars on time otherwise the person after you won’t be able to get the car they’ve booked and the sharing system won’t work. If you fail to follow the rules, you can be penalized with fees. These fees add up quickly. Make sure that you know the rules and what the fees are for any car sharing program that you participate in. Common fees other than late returns include returning the car without fuel and returning the car dirty. Using the cars for long distance driving. Some car plans include a certain number of miles in the amount that you pay hourly. Others charge a small per mile amount for each time that you take out a car. Either way, going too far in these cars can add up to a lot of costs. These cars are intended for use within small urban areas so don’t plan on using them for extended trips. Renting a car from a car rental agency may be a cheaper option for long distance road trips. Using the cars too frequently. These types of programs are for people who don’t intend to drive every day but who do want a car available to them as needed. The idea is that you can give up your car, relying primarily on walking, biking and public transportation, but still have a car if you need one. If you don’t get in the habit of using other means of transport regularly and instead use these cars frequently then you may end up wasting more money than if you just owned your own car outright. Failure to understand the insurance policy. Typically these car sharing programs come with insurance coverage but you are responsible for the deductible if you get in an accident. When comparing programs, make sure that you fully understand the insurance policy. Otherwise, you could end up paying a high deductible for an accident down the line. Some programs allow you to pay a fee to decrease the amount of your deductible. If you feel that you are likely to get in an accident then you may want to take this action. Great warnings for people wanting to participate in such a program. We live in a city where car sharing doesn’t happen but people in metropolitan areas should read this to ensure they know what the limits and risks are. @Sustainable PF. Thanks! It’s too bad that you live somewhere where car sharing isn’t an option. I’ve actually met people in small communities who created their own informal car sharing program by pooling their resources. Although there are risks associated with it, I really find car sharing to be the best way for me to have access to a car without the financial responsibility of a car.